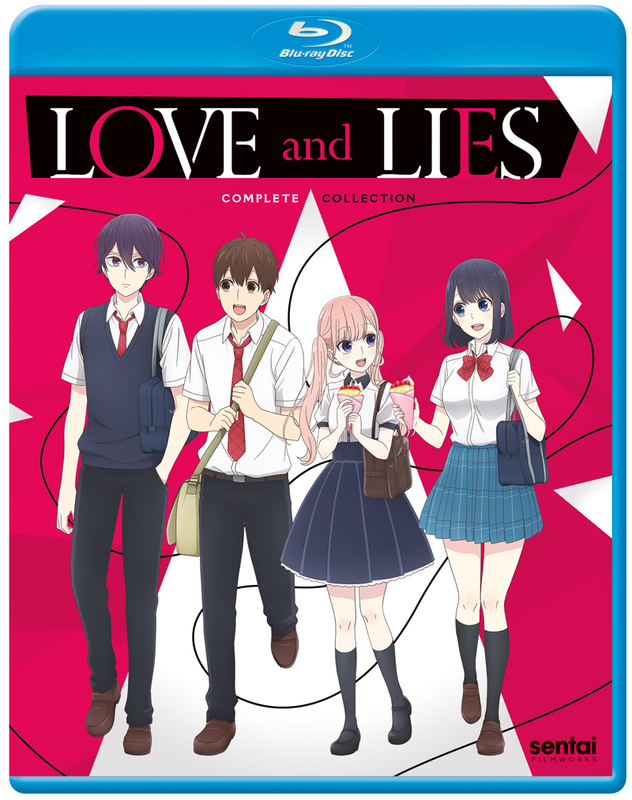 Love and Lies Blu-ray contains episodes 1-12 of the anime directed by Seiki Takuno. It's an old story: Boy loves girl. Girl admits her love for Boy. And then the government says, "No, you have to marry THIS other girl instead." Because, in the world where high school student Yukari Nejima lives, the government decides who you marry and the feelings of the parties involved don't matter. So while Yukari loves his classmate Misaki and she feels the same way, their other classmate Ririna is going to be his mate! Or is she? There's an unexpected turn when Ririna indicates that she's not against Yukari and Misaki being a couple despite their impending marriage and things get even more convoluted when Ririna finds herself attracted to both of them! Get ready for the ultimate case of unwanted government interference as everyone gets caught up in the romantic bureaucracy!